RAVE Computer in Sterling Heights, Michigan is rated best in the industry because of their training and innovative learning. RAVE’s cutting-edge product development department has its own engineering lab where masterful computer technology solutions are configured in new, innovative ways. In addition, product engineers have a focus on innovation, creating unique systems that are consistently smaller, lighter, faster and optimized for high performance. This is the reason that RAVE was invited by the Michigan Defense Center to showcase their company and innovation to the Michigan Congressional Delegation in Washington DC recently. “RAVE is exactly the type of forward leaning, cutting-edge company that is meeting the emerging needs of the Department of Defense and other federal agencies. The Michigan Defense Center is proud to offer Michigan companies like RAVE opportunities to highlight their capabilities to Congressional, Department of Defense and Industry leaders whenever possible.” said, Vicki Selva, Deputy Director for the Michigan Defense Center. 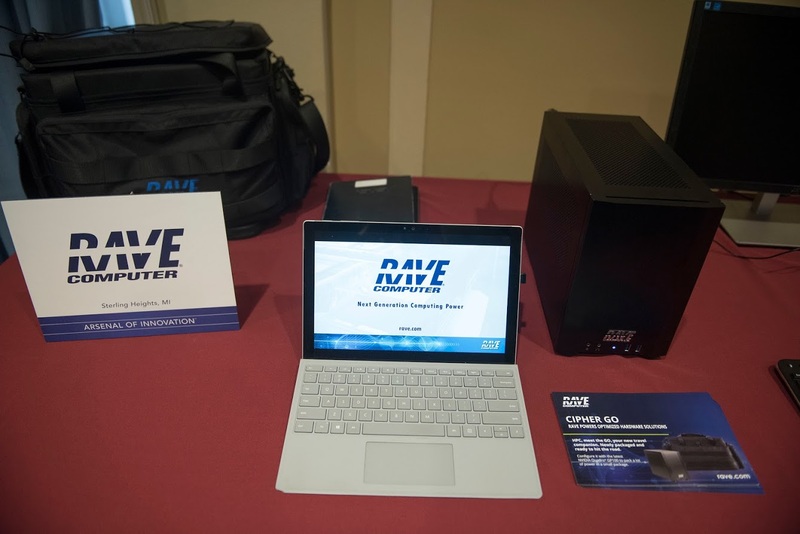 Founded in 1988, RAVE Computer is a technology consultant and computer manufacturer providing Commercial Off-The-Shelf (COTS) and custom engineered solutions optimized to specific customer requirements. RAVE builds and modifies standard computer systems to develop fully custom integration solutions, supports military’s Modeling, Simulation and Training, and C4ISR and Rugged real world missions. In June of 2017 RAVE was named the 2017 Partner of the Year by Intel Corporation for its innovation of the Mobilbeast VR computer. RAVE won in the PC Client Platform category. CEO Rick Darter is an important member of the defense community. As a Director of the National Defense Industrial Association (NDIA), Rick chairs the chapter’s STEM program, sponsors and supports the Michigan Defense Expo (MDEX) and takes a leadership role in conferences and promotion of the emerging Modeling and Simulation markets and industry. 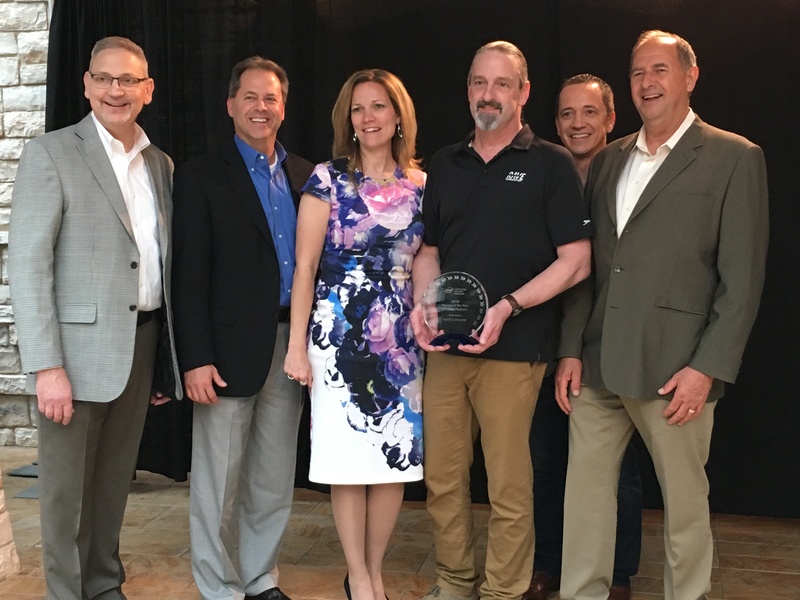 Pictured in the image above: Jake Tatel, Director of OSC Americas – Intel; Greg Baur, VP SMG & Regional Sales, GM Americas – Intel; Sara Blackmer, Vice President / General Manager – RAVE Computer; Karl Rosenberger, Director of Prod. Development – RAVE Computer; Ricardo Moreno, VP – SMG, WW Programs – Intel; Rick Darter, CEO & President – RAVE Computer.